DO-10250-36 was succesfully added to your cart. These thermoanemometers measure air velocity, air volume, and temperature. Display up to three measurements simultaneously on a large backlit LCD. Automatically calculate averages of all your parameters with the push of a button. Model 10250-36 also stores 12,700 measurements and logs at intervals between one second and one hour. 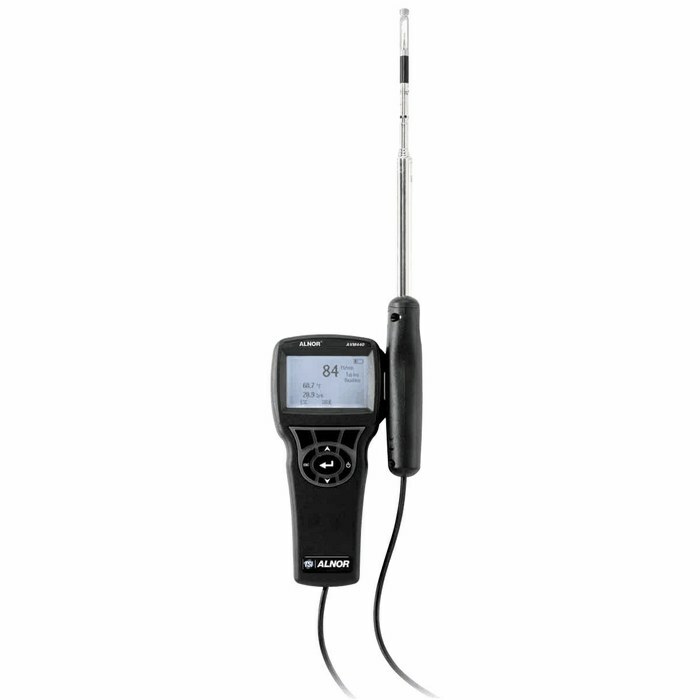 Additional measurement parameters include humidity, dew point, and web bulb. Easily calculate humidity averages, recall maximum, minimum, and average data points. Software, probe, USB cable, four AA batteries, hard carrying case, and calibration document supplied by the manufacturer.